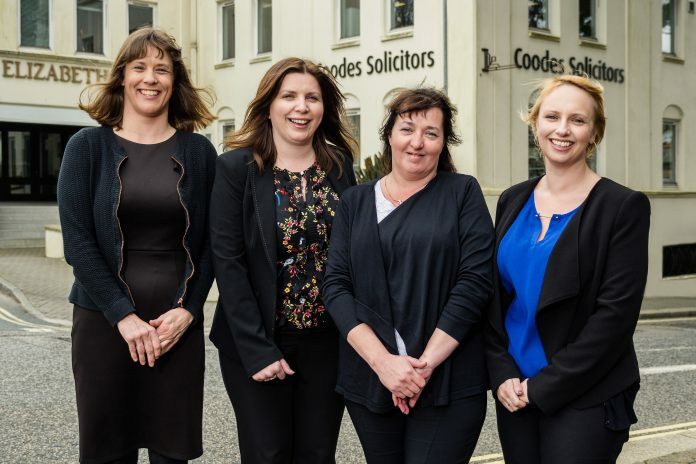 Local law firm Coodes Solicitors is growing its conveyancing team across Cornwall. The firm has appointed Claire Gummow to its St Austell office and bolstered its Penzance and Newquay offices with two new conveyancing executives. Claire Gummow joins Coodes from the Mevagissey office of Cornish law firm Charles French & Co. She is a conveyancing executive with particular expertise in new build and affordable housing. Debbie Mills and Rebecca May have both been promoted and are now working as conveyancing executives. Newquay-based Mills has been a personal assistant in the residential property team for seven years, while May, formerly a paralegal in the Penzance office, is now qualifying as a legal executive. Coodes Solicitors’ partner and head of residential property, Sarah Cowley, said: “We are delighted to welcome Claire Gummow, who brings excellent local knowledge, contacts and connections. Claire’s impressive experience in handling new build and affordable housing purchases will further strengthen our specialist teams.